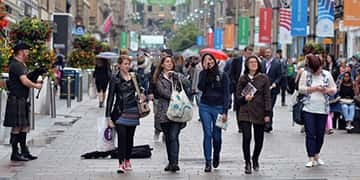 How to Apply for The University of Strathclyde Dean’s Canadian Scholarship in UK, 2019. The University of Strathclyde Dean’s Canadian Scholarship… The Faculty of Humanities and Social Sciences at the University of Strathclyde is offering Dean’s Canadian Scholarship (Education) 2019. These scholarships are open to Canadian residents who are applying for a full-time undergraduate or postgraduate program. The University of Strathclyde located in the heart of Glasgow city is a multi-award winning UK university. In Strathclyde, the team has an outstanding record of providing English courses of different lengths and levels throughout the year. Eligible applicants will automatically receive this scholarship. You do not need to formally apply for it.